The ISIS terror group continues to disseminate radical propaganda aimed at motivating jihadi sympathizers of the group across this globe, despite the militant group's near destruction in key Middle Easter territories. 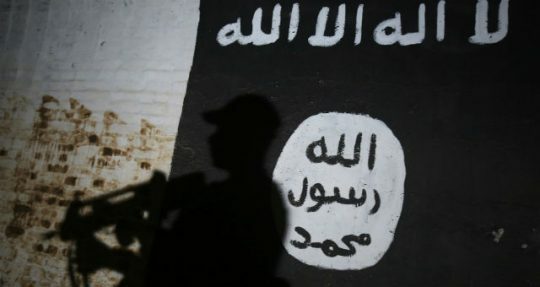 The terror group's propaganda arm on Monday disseminated a new propaganda poster, this time showing the ISIS flag flying atop London's Big Ben landmark, according to a new release on online media networks backing the group. 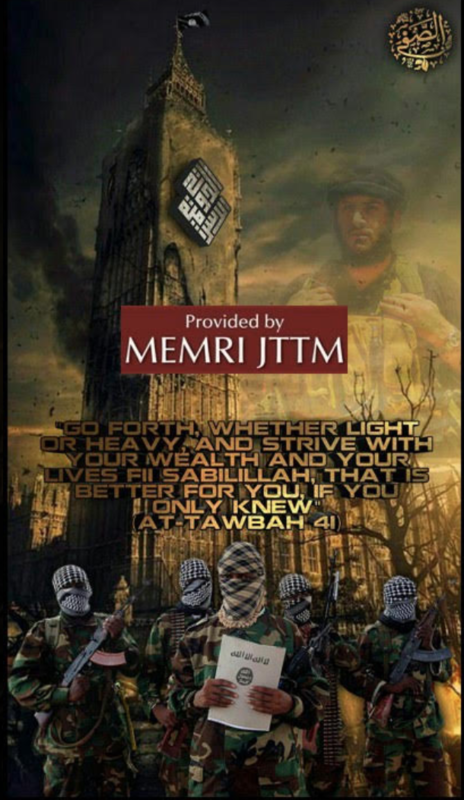 "The poster features an ISIS flag flying from a damaged Big Ben in London, an ISIS symbol bearing the words ‘Islamic State' affixed to the clock tower, armed ISIS fighters in the foreground, and a faded image of late ISIS spokesman Abu Muhamad Al-Adnani in the background," according to a translation of the message performed by the Middle East Media Research Institute, which tracks radical propaganda networks. "The poster is captioned with a quote from the Quran (9:41) urging Muslims to engage in jihad: ‘Go forth, whether light or heavy, and strive with your wealth and your lives in the cause of Allah. That is better for you, if you only knew,'" according to MEMRI. The latest propaganda poster is meant to galvanize radicalized individuals across the globe, particularly in London, which has been beset with terror attacks in recent months and years. "The use of the image of Al-Adnani is a clear call to ISIS supporters to follow the orders he famously issued in several of his speeches, urging Muslims worldwide to carry out terror attacks in their own countries and by any means available to them," according to MEMRI. "Ash-Shaff Media has lately become one of the most prolific pro-ISIS producers of threatening posters." While ISIS's so called caliphate across the Middle East has been vastly degraded by the Trump administration, the group continues to enjoy the support of radicalized individuals across the Middle East, Europe, and the United States. With the group's strength diminished, it is relying on what are called "lone wolf" attackers to carryout continued operations.